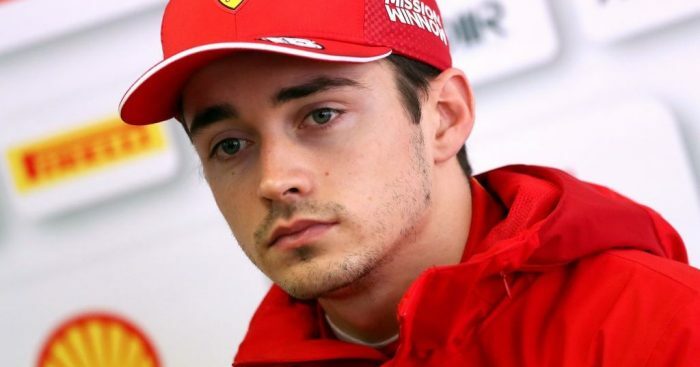 Charles Leclerc’s number two status at Ferrari is already in effect after being told not to challenge team-mate Sebastian Vettel. Prior to the season opener in Melbourne, Ferrari boss Mattia Binotto said the new duo were “free to fight” each other – but that was not the case come race day. Leclerc, on debut for Ferrari, was closing in on Vettel in the final stages of what was a very forgettable race for the Scuderia. But, when asked if he can push his team-mate any closer, he was simply told “back off to have some margin”. Vettel would limp home in P4 with Leclerc hanging back in P5, whilst rivals Mercedes recorded a 1-2 finish and Red Bull secured the final podium spot. Vettel was asked whether there was any discussion on his side about swapping positions, he said: “No I mean obviously it was clear so I think everything goes normal. Leclerc, meanwhile, said he understood the team’s decision. “I got off to a great start and found myself in a good shape to fight,” Leclerc said. “I tried to overtake Max on the outside but Seb was blocked by the two Mercedes. “I also went outside Vettel, and I don’t know if he saw me, but I had to go on the grass because I didn’t have any space left and I lost a position to Max. “In general the car was quite difficult to drive. However the second stint was more positive. Ferrari finished nearly a minute behind Mercedes, but Leclerc is confident the timesheet does not tell the actual story. He added: “It wasn’t a fantastic race, but on the other hand we know that the Melbourne track is atypical.